All data recovery cases are different, and the cost of a data recovery case can vary wildly depending on the situation. The size of the hard drive and the severity of the damage the drive has suffered have a large impact on the amount of work a data recovery professional needs to be able to salvage data from it. For example, a clicking hard drive may simply need its magnetic read/write heads replaced in order for its data to be salvaged. Or it may need its read/write heads replaced and its firmware repaired. It may need multiple sets of replacement parts, and its platters may need burnishing before an engineer can successfully recover the data from it. That’s why we do all our evaluations free of charge–so we can tell you how much our services will cost down to the dollar before you even have to think about reaching for your wallet. At Gillware, data recovery costs absolutely nothing--if we can't recover the data that's important to you at a cost that makes sense. That's our financially-risk-free guarantee. However, we’re one of the best data recovery companies in the world, so chances are, we can. If you have a failed hard drive, there’s no need to despair. A professional data recovery lab has the skills and resources to repair many types of failed storage media, including hard disk drives, and salvage the data from them. Most professional data recovery labs have very high success rates in a wide range of data loss situations. For example, Gillware has maintained success rates of over 98% for over 15 years. How much does it cost to repair a hard drive? The cost of professional services varies wildly depending on how much of work it takes to get the drive back to a functional or near-functional state. This could be as simple as replacing its circuit board, or as difficult as removing and rigorously polishing its hard disk platters. Gillware provides free in-lab evaluations in order to provide an accurate price quote with no upfront costs involved. Gillware was founded in 2003 by two brothers looking to provide sensibly-priced, professional data recovery services to everybody, from large corporate clients to end users. Professional data recovery is something of a niche industry—most people don’t know about it until they need it. As a result, people who need their data recovered often don’t know what to expect for a reasonable price when they go shopping for data recovery options. Sadly, this can sometimes lead people to choose unrealistically cheap or “flat-rate” data recovery services, which rarely yield positive results, over professional data recovery labs. Gillware’s experienced computer scientists and mechanical engineers specialize in recovering data not just from broken hard drives, but also from USB flash drives and SSDs, phones, tablets, virtual machines, RAID servers, and more. Whether it’s catastrophic failure or accidental deletion, our engineers deal with it on a daily basis. Everybody works as hard as we can to make data recovery as painless as it can be. On some level, a per-gigabyte data recovery cost might seem to make sense. There are a lot of things that cost more or less depending on how many gigabytes of data you need to use, like cloud data storage and backup, a data plan for your phone, or your home internet plan. And after all, doesn’t recovering 5 gigabytes of data take less work than recovering 50 gigabytes of data? In reality, though, a per-gigabyte data recovery cost just doesn’t work. Say you have two identical hard drives, for example, and both have failed in the exact same way. One, however, has 10 gigabytes of documents and photos; the other has 300 gigabytes of TV series episodes. Both hard drives will require the same amount of engineering time, or time a professional engineer will have to invest, to make the data salvageable. The only difference between the two cases is in how much machine time it takes to pull the data off once the drives are up and running. Machine time, or the amount of time our machines have to invest in a case, is comparatively cheap, at least compared to the time and effort our engineers must spend. Looking at all the factors that a professional data recovery lab must take into account, it’s also plain to see why a flat-rate data recovery cost doesn’t quite pan out in real life as well. The cost of data recovery varies depending on the situation—the more work that has to go into a hard drive to get it up and running, the higher the price must be—but many other factors influence the cost of data recovery as well. Calculating the cost of data recovery is more complex than it appears. Professional data recovery labs have a difficult balancing act ahead of them. A lab doesn’t just have to worry about providing data recovery services at a cost that is affordable for customers and competitive in the industry. The cost of a data recovery case must also adequately cover the cost of the data recovery work itself, research and development, assorted facilities, paying its workers’ wages, and keeping the lights on. Like any other company in any other industry, if a professional data recovery lab can’t manage this balancing act, it won’t last long. As a result, a flat-rate data recovery cost makes very little sense. Hard disk drives have various points of failure. Some take more work to repair than others. To use a medical analogy, bacterial pneumonia and a heart attack can both be potentially lethal, but antibiotic treatment and heart surgery are two very different beasts that demand a very different set of skills and equipment. Data recovery engineers’ time is precious. Depending on complexity, a data recovery case can take any number of hours to complete. It just doesn’t make any sense to charge just as much for a case that takes 12 hours of engineer time as one that takes 5 hours of engineer time. With all these factors in mind, you can see why quality data recovery services simply can’t work on a flat-rate basis. Businesses offering flat-rate costs for data recovery typically do not have the resources for truly professional work. These data recovery vendors have only a very narrow window of situations in which they can actually successfully recover a customer’s data. Usually, these vendors only have the resources and know-how to fix old hard drives with very common problems, and can’t hack it in any other situation—much to their customers’ detriment. They typically collect their fees upfront in order to keep the lights on, making money off of their failures as well as their successes. Data recovery prices depend on many factors, including how dire the situation with your storage device is (whether you deleted data from it, the device has a minor failure, or the device has a severe failure), what its total capacity is, how complex the storage device is, and other contributing factors. We wish we could tell you exactly what data recovery costs right here. When you bring your car to an auto repair shop, it matters whether you need the oil changed or the transmission rebuilt. It matters whether your car is a Yugo or a Ferrari. When it comes to data recovery, determining how much work and special skill it takes to salvage your data depends on answering questions that can only be answered by a free evaluation in our lab. What will it take for us to get your device temporarily fixed so that we can salvage data from it? Is there a physical issue or a logical issue? Is the drive making strange noises such as clicking or beeping? Does your hard drive have a few bad sectors in the wrong part of the disk? Are there scratched hard disk platters inside the device? How many donor parts will we need to use for the drive to be repaired? Is there physical, full-disk encryption in place? 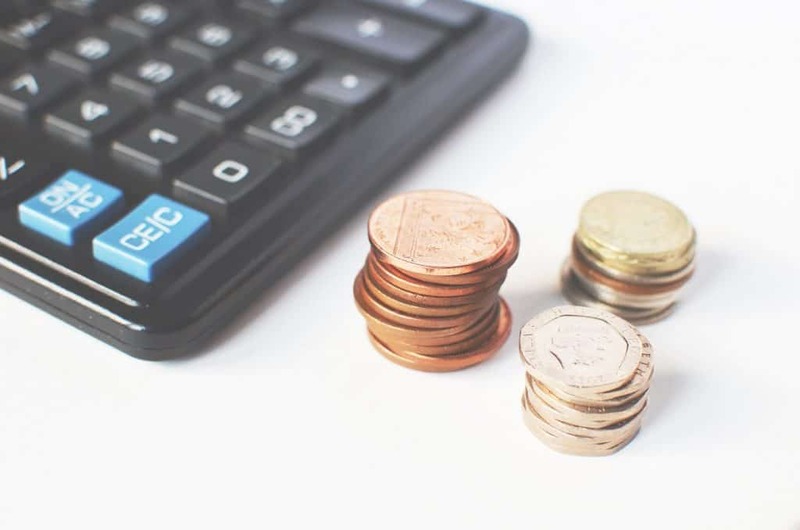 How much money will it cost us, when it comes to paying for the expertise and resources that go into your data recovery case? Our in-lab free evaluation answers all these questions and allows us to tell you exactly how many dollars it will cost to recover your data. What Primary Factors Affect Data Recovery Cost? Hourly expertise: The small size of the data recovery industry and small talent pool makes the industry highly competitive. The hourly rate for a data recovery professional in the US typically costs anywhere from $100 to $300 per hour depending on the location, skill, and educational background of the engineer. Replacement parts: A professional data recovery lab should have a well-stocked library of hard drives to act as donors. However, cases involving rare or very new models of hard drives require engineers to order donor parts. Procuring any donor parts means buying an entirely new hard drive. Imagine if your mechanic couldn’t just buy a new muffler—he had to buy a whole new car as well! Research and development: In order to stay competitive and effective, a professional data recovery lab has to sink plenty of time, effort, and money into R&D. There are no owner’s manuals describing how to fix a hard drive—every data recovery tool and technique must be reverse-engineered by skilled computer scientists. Internal media: Instead of working directly on the customer’s hard drive, our engineers make a copied image of the drive using write-blocked and fault-tolerant forensic imaging technology. The copy has to live somewhere, which means data recovery labs need to account for temporary data storage needs. It’s not uncommon for large RAID arrays to eat up dozens of terabytes of disk space for several weeks while a server data recovery case is ongoing. Replacement media: Once a customer’s data has been recovered, the engineers must extract it onto a healthy, new storage device and ship it to the customer. Quality assurance: A few hours of data recovery QA should ensure that the customer’s important files work and that the customer receives the correct data from the lab. Facilities and infrastructure: The cost of data recovery has to cover the overhead costs of running a data recovery company such as rent on the property and utilities. There is also the cost of maintaining the cleanroom data recovery lab and a library of donor parts, as well as buying and maintaining the specialized equipment needed for data recovery, such as burnishing tools, forensic write-blocked imagers and other software tools, chip readers, etc. IT security: A lot of work has to go into making sure a professional data recovery lab is sufficiently secure. Data recovery companies handle massive amounts of data belonging to other people and must keep it all safe. Training staff, having internal or external security audits done, and properly sanitizing and disposing of customer data all comes with a price tag for the lab. Data reintegration: It isn’t uncommon for our clientele, especially small business clients, to need help to reintegrate their recovered data. This is especially necessary when we’ve just recovered their SQL database or other complex databases after their server took a nosedive. Customer service: A good data recovery company needs robust customer service to assist and support its customers. Good and effective customer service acts as a middleman between the customer and the engineers, helping to ensure that the data recovery process moves along smoothly. Sales and marketing: Like any other service industry, data recovery companies need sales and marketing departments to attract customers and bring data recovery casework through the doors. From the beginning, Gillware’s data recovery lab has always been about putting data recovery within reach for everybody, not just large corporations. Gillware pioneered free inbound shipping, free in-lab evaluations, and financially risk-free guarantees with no upfront fees for its clients, from corporate IT departments to a mom and dad who’ve just lost years’ worth of photos of their children. While these offerings have since been adopted by other labs, Gillware’s services remain the most sensibly-priced option, often 40-50% of other labs’ prices, without sacrificing quality. By carefully controlling our overhead costs, Gillware does more to walk the balancing act between affordability and quality services than any other data recovery lab. With our engineers in your corner, you don’t have to sacrifice quality for thriftiness.